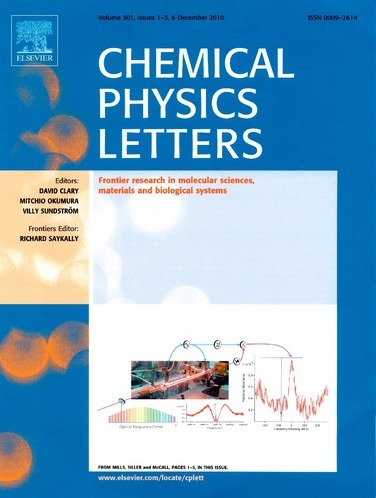 The cover of the 6 December 2010 issue of Chemical Physics Letters. Our most recent article, "Precision cavity enhanced velocity modulation spectroscopy" (link to pdf) has been featured on the cover of Chemical Physics Letters. The paper was written by Andrew Mills, Brian Siller and Ben McCall and illustrates how we have been able to utilize velocity modulation spectroscopy combined with an optical cavity to measure transitions from the molecular ion N2+. Because of the high optical power generated by using a cavity, Lamb dips were observed, which allowed observation of the transitions at sub-Doppler resolution. By referencing these narrow lines with an optical frequency comb, the spectra were calibrated to an absolute accuracy of ~1 MHz. This work represents a great advance in the field of molecular ion spectroscopy.